Radiesse® is a cosmetic filler that is largely used to treat wrinkles and deep lines around the area of the mouth and nose. This includes the marionette lines; smile lines, and nasolabial folds. Radiesse® dermal fillers are gradually rising to be among the leading anti-aging treatments that are currently in the market. These filler injections are non-surgical and will improve the appearance of the skin just after a single treatment. The functional medicine specialists at BioDesign Wellness are proud to offer Radiesse® dermal filler sessions for clients in South Tampa, FL. Radiesse® should be performed by qualified health professionals like those here at BioDesign Wellness Center. The procedure can take a maximum of fifteen minutes based on the extent of treatment. The needle injections involved in this procedure may cause the patients to experience minimal discomfort. This application procedure includes the injection of a calcium hydroxyl compound that is carefully suspended in a gel containing carboxymethylcellulose. Phosphate and calcium ions that occur naturally in our bodies form the apatite particles of calcium hydroxyl that are needed here. This gel carries an organic compound of oxygen, hydrogen, and carbon. It also contains sterile water and glycerin. After that, a thin connective tissue forms just next to the microspheres to enable them to work as a filler. These are the steps that are involved in the administration of the Radiesse® dermal fillers. Step 1 – the medical experts from BioDesign Wellness Center will choose one or even more points of the injection for the areas that should be treated. They will also apply antiseptic. Step 2 – the medical practitioner will identify the right quantity of Radiesse® to be used for the entire process. 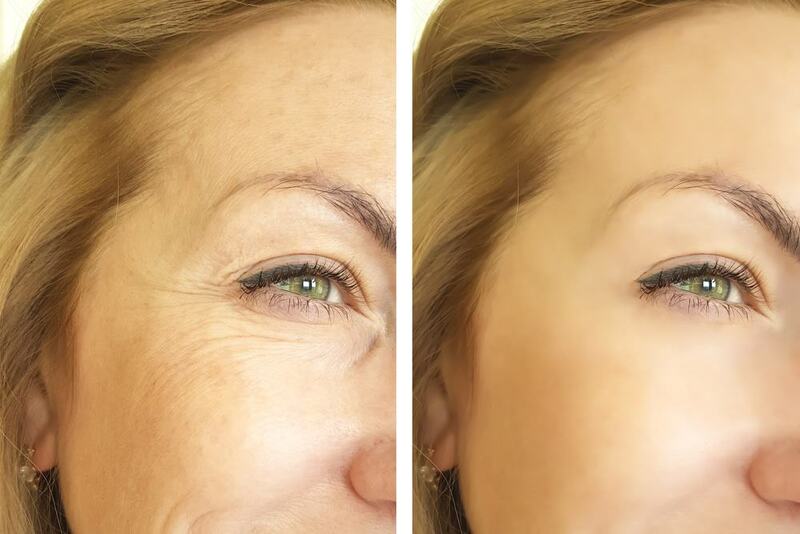 Step 3 – the Radiesse® dermal filler will then be injected into the subcutis layer and the dermis. The results could be evident within just seven days. Though the positive impact of Radiesse® may last for more than two years, we recommend regular touchups throughout the duration. This innovative injectable treatment has made reducing the appearance of laugh lines, eliminating cow’s feet, managing frown lines easier that has ever been. But perhaps the primary reason why you should consider a Radiesse® treatment today is the role it plays in the production of collagen. Weeks after the treatment, Radiesse® will stimulate the development of collagen to provide you with a youthful and natural appearance that you have always wanted. These are some of the key benefits why you should visit our office today for this dermal filler treatment. Unlike other collagen fillers and others, Radiesse® dermal fillers don’t reduce in size or dissolve in the body. It is capable of maintaining its viscosity and plumpness in the skin for many years. The touch-up treatments are only recommended for the purposes of boosting up the collagen. To get the best results, you will only need fewer applications and treatments, and that would not cost much. The ingredients used in Radiesse® dermal fillers are compatible with even those who are allergic to other injectables like collagen fillers. You will then have long lasting benefits since the treatment will work well with your body. The tissues that are affected by this treatment process will remain strong and soft for so many years. Radiesse® will stimulate the development of your body tissues and enhance your youthful appearance. This is the only alternative that will make your skin appear perfect just after the first treatments. The medical experts at BioDesign Wellness Center have extensive experience and knowledge with anti-aging treatments like Radiesse® dermal fillers. To schedule your Radiesse® dermal fillers appointment with the functional medicine experts at BioDesign Wellness in South Tampa, click here or call us at 813-445-7770. We can’t wait to help you feel better on the inside and look your best on the outside!